The Fun of MUN. And much much more. – Making sense of an interconnected world. Together. The Fun of MUN. And much much more. DISEC. APEC. IAEA. UNDP. UNSC. SPECPOL. IPC. It’s not certain that most adults, let alone teenagers, would be clear on what these acronyms stand for. No doubt anyone who hasn’t kept up with international issues would not win first place in any deciphering contest. It is most certain that adults would be surprised to find that a group of teenagers are experts not only on what the acronyms mean, but also on the complexities behind them. Who are these amazing young people? 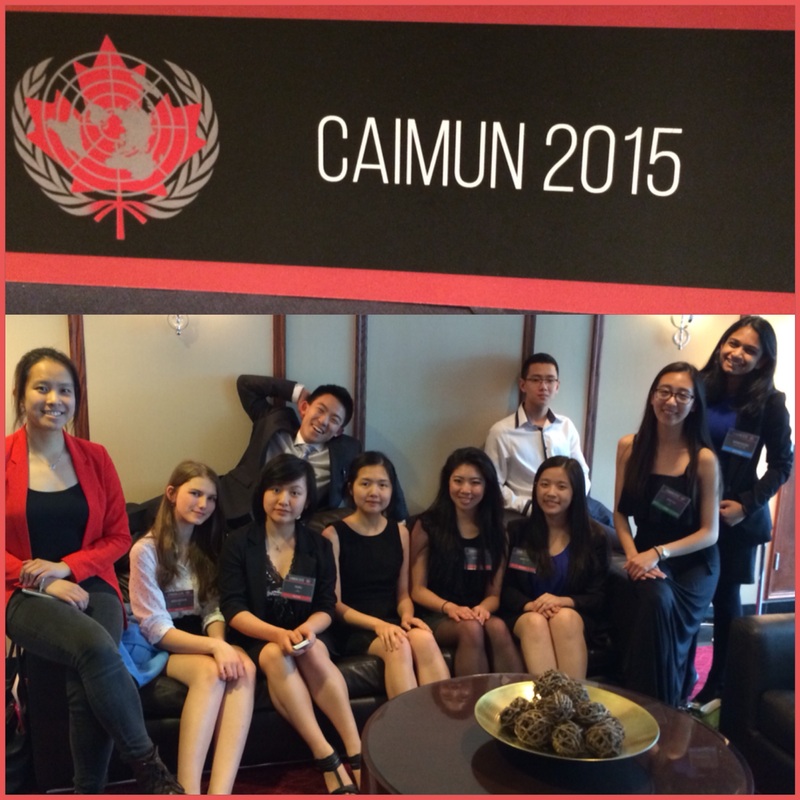 For weeks now, the Burnaby School District Model United Nations team has been preparing for the annual Canadian International Model United Nations (CAIMUN) conference, held in downtown Vancouver every May. It involves the researching of the most in-depth United Nations (UN) documents on topics such as The Proliferation of Chemical and Biological Weapons, Globalization and Food Security, and The Situation of ISIS in Syria. Once a week, they normally practice debating current topics, from the perspective of a UN member state, using the same strict rules for communications as the UN itself. APEC: Asia-Pacific Economic Cooperation. This 26 year-old organization fosters free trade and economic cooperation in – guess where? The Asia-Pacific region. How many do you know? For more explanation, check CAIMUN’s explanations or better yet ask one of our students! In a self-congratulatory way, it is also exciting to point out that three Burnaby students are so experienced with the principles and rules of the UN that they were selected to participate high up in the organizing stratosphere of CAIMUN. This year, Burnaby students hold elite positions that include running committees: Director of the UN Development Programme (that’s UNDP…) and Director of the International Press Corps (that is the IPC…). Also, one Burnaby student made it as high as the Under Secretary General of Delegate Affairs (USG)! In the world of MUNs, you should know that this is very commendable. Model UN conferences provide an opportunity for students to grasp real-world situations and apply communications and problem-solving skills to them. But these events are more than strictly learning. With 500 students from around the Lower Mainland and also from Washington State, socializing is a big part of the inspiration. Model UN conferences are also plain fun.